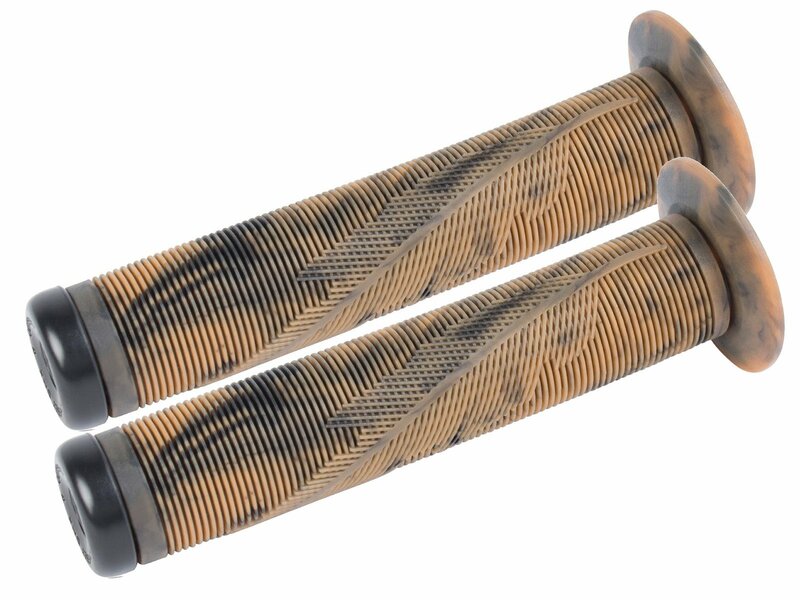 The Odyssey BMX "Tom Dugan" Grips have the classical coil pattern and are grippy even though if you're hands are really sweaty. 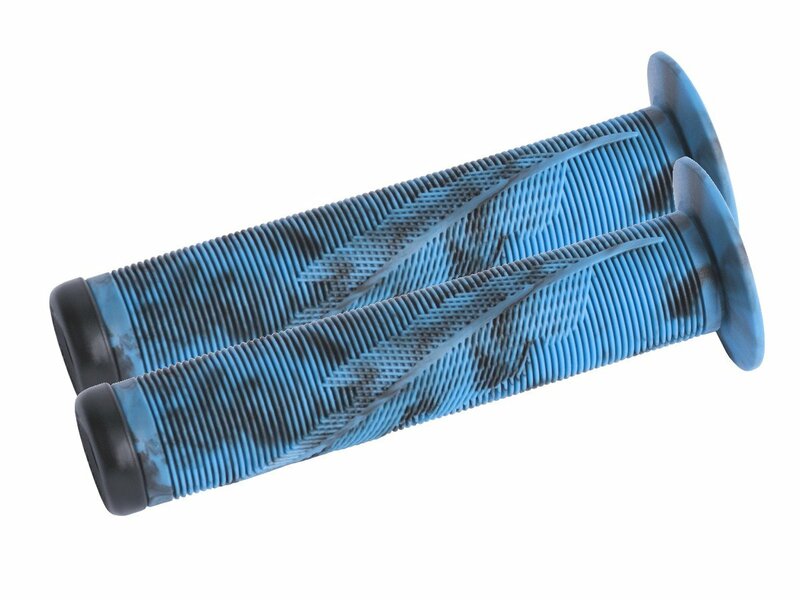 They're really soft and the most stressed areas have crossed fins in a form of a feather. 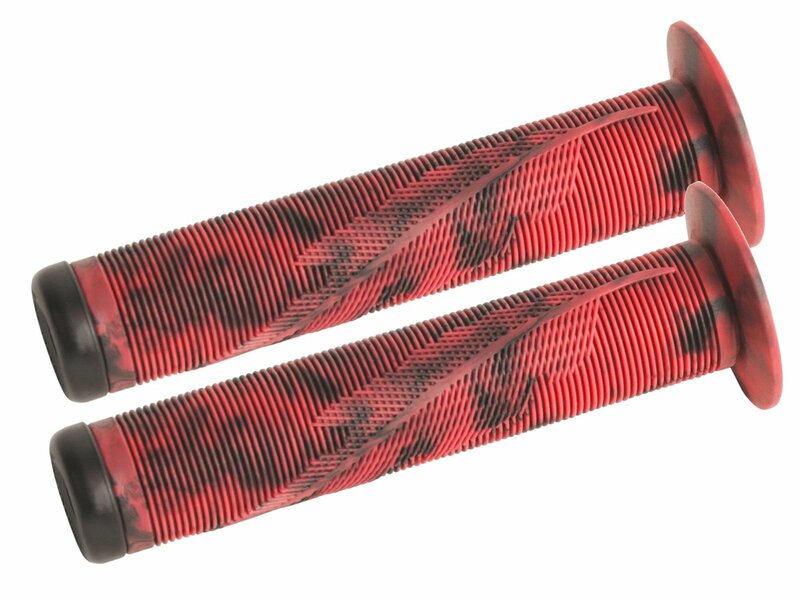 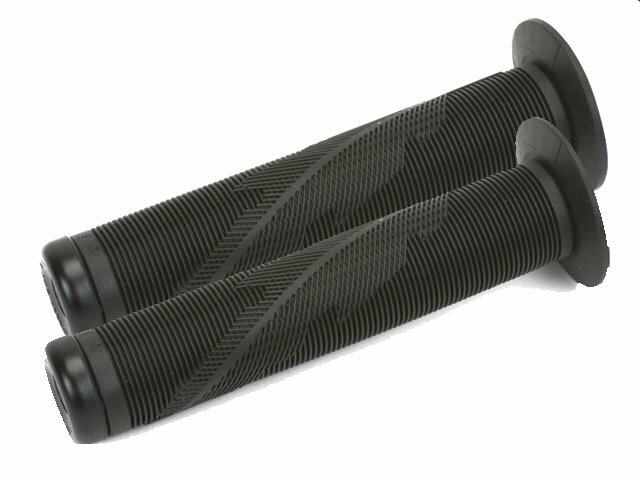 The Odyssey BMX "Tom Dugan" Grips include great Odyssey BMX bar ends.